This premier gaming event is aimed at providing computer and console gaming enthusiasts a first-hand experience of PTCL’s high-speed internet. 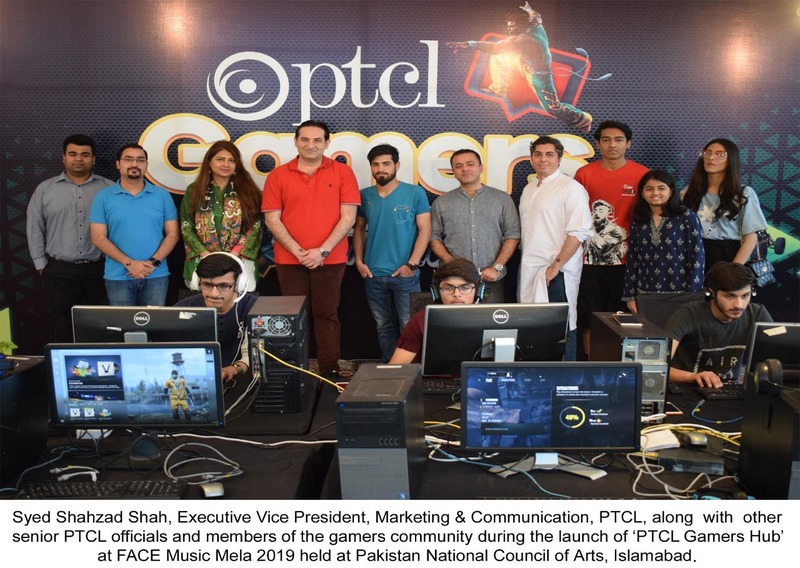 Online gaming is a positive entertainment and sporting activity that is imperative for the development of youth and is aligned with PTCL’s digital strategy. PTCL, being the largest internet service provider, realizes that true gaming experience can only be achieved with best-in-class broadband services with optimized latency towards renowned gaming servers in the world.PTCL is actively engaged in route optimization and peering initiatives to achieve lower latency and improved user experience for gaming on European and Asian servers. The company has started to transform its network under the Network Transformation Project (NTP) with upgradation of top 100 exchanges across Pakistan. Under NTP, PTCL has already started offering Fiber-To-The-Home (FTTH) in selected areas in Pakistan with speeds up to 100mbps along with state-of-the-art technology, Gigabit Passive Optical Network (GPON). This will ensure seamless surfing, unlimited data & streaming, non-stop internet and immersive gaming experience for customers. With this initiative, PTCL is creating momentum for building a digitally connected Pakistan.